Welcome to the Swope Auto Museum, home to an impressive collection of vintage and antique cars. 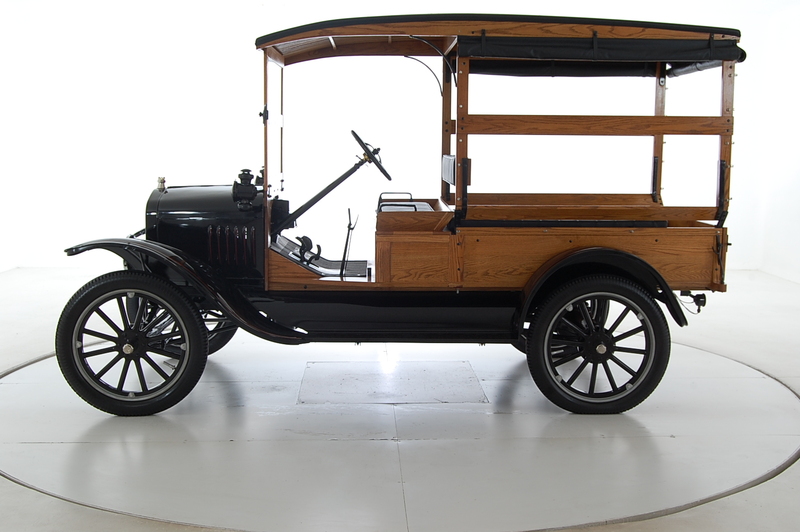 Our museum, Swope’s Cars of Yesteryear, allow you to take a tour of different eras, from the early 1900s to the 1960s. Our museum features vehicles of all makes and models. The Swope Auto Museum is owned and operated by the Swope Family of Dealerships, open to the public with NO ADMISSION charge. You won’t find a “suggested donation box” either–our museum is completely free. We welcome all to come and enjoy, a way of expressing our appreciation for the sixty years that the Swope Family of Automobile Dealerships has been embraced by the Kentucky community. The museum is open from 10 AM to 5 PM, Monday through Saturday. A knowledgeable hostess is on duty to greet you and give guided tours. The Swope Museum offers ample tour bus and RV parking. The museum is air-conditioned and is handicapped accessible. Don’t miss our vintage car library and a do-it-yourself car video theater! Cameras are permitted. It was May 8, 1945 and Bill was a young soldier fighting with the United States Army in Germany, when a strange thing happened. Everyone was cheering: the Germans, the Americans, soldiers, civilians. World War II was over–at least for Europe. This day would soon be known as Victory in Europe day. After V-E day, Bill and other American soldiers came back to the United States. The soldiers were given 30 days leave before they were to be sent to train for the war in Japan. You can imagine the flurry of activity during these 30 days. For Bill Swope, that leave time brought a wedding to his college sweetheart, Elizabeth Sanford (who we now know and love as Betty Swope). While Bill was preparing to train for the war in Japan, President Truman dropped the atomic bomb over Hiroshima, ending the war in the Pacific. The fighting was over for Mr. Swope. Instead, he was sent to Fort Benning, Georgia, where he was deactivated. Bill then returned to Miami University of Ohio to finish his schooling. In June of 1946, Bill went to work for a building of materials company out of Cincinnati, Ohio where he and Betty had their first of four children. Bill found that he was much more interested in his company car than the materials he was selling. He knew then that his calling was to be in the car business. So the family moved to Winchester, Kentucky where he opened his very first dealership, a Dodge/Plymouth store on Main Street. It wasn’t long after he opened his store that he got a call from a friend, Pat Humphrey, who was a Chrysler dealer in Danville, Kentucky. Pat told Bill, “I’ve got just what you need: a 1918 Dodge Touring Car for just $250.” Pat told Bill that if Bill were to park it in front of his dealership, the classic car would draw in customers. Bill decided to pass on his offer. But Pat wasn’t easily deterred. Pat told Bill that he would sell the car to him for $200 and deliver it on a flat bed truck. What Bill didn’t know was that the 1918 Dodge would become the first car in his vintage and classic car collection. Bill Swope eventually moved his business to Elizabethtown, Kentucky, where the Swope Family of Dealerships and Swope Motor Company still thrives today. By 1999, Bill’s classic and vintage car collection had grown so much that he decided he needed a place to bring them all together. 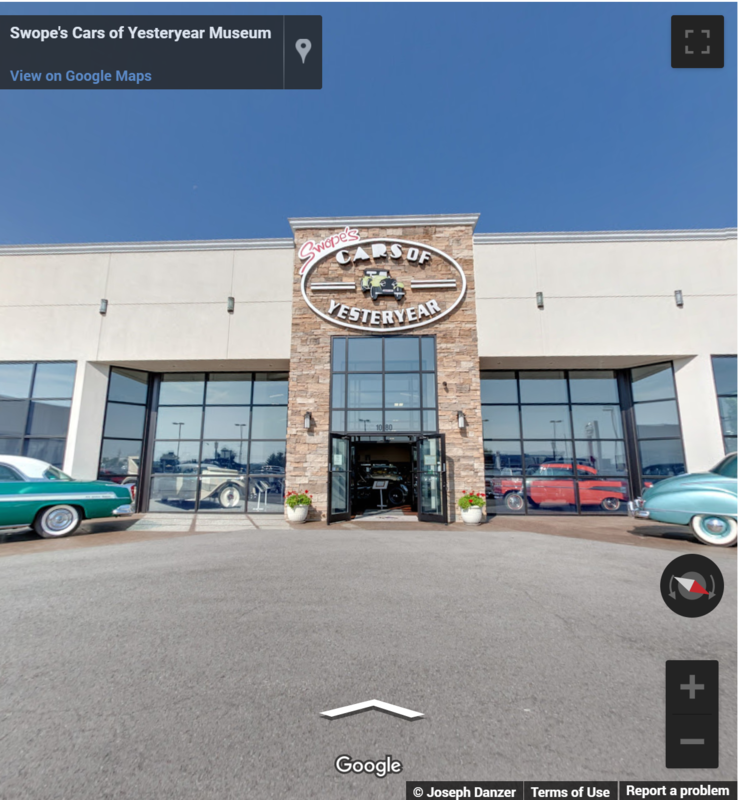 Central Kentucky had done so much for him that he wanted to give something back, so Swope’s Cars of Yesteryear Museum was born and Bill made it free to the public as a thank you to the community that had embraced his family and business.